As the Las Vegas Valley takes off like a speeding train in its growth, commercial contractors have had to really step up their game to keep up. The job market for commercial contractors has never been so large and companies are hiring at an all time pace. The following commercial contractors are the best of the best and specialize in very different aspects of commercial development. First up, UNICON Contracting. They actually were established here in Las Vegas back in 2010 but have been licensed contractors for over 30 years. The company has specific areas where they stay focused in their commercial contracting business. UNICON actually does mostly pouring of large concrete foundations for industrial projects, and the grading and paving of all sorts of roads, highways and sidewalks. They primarily focus on commercial projects, however, they do smaller residential projects as well. 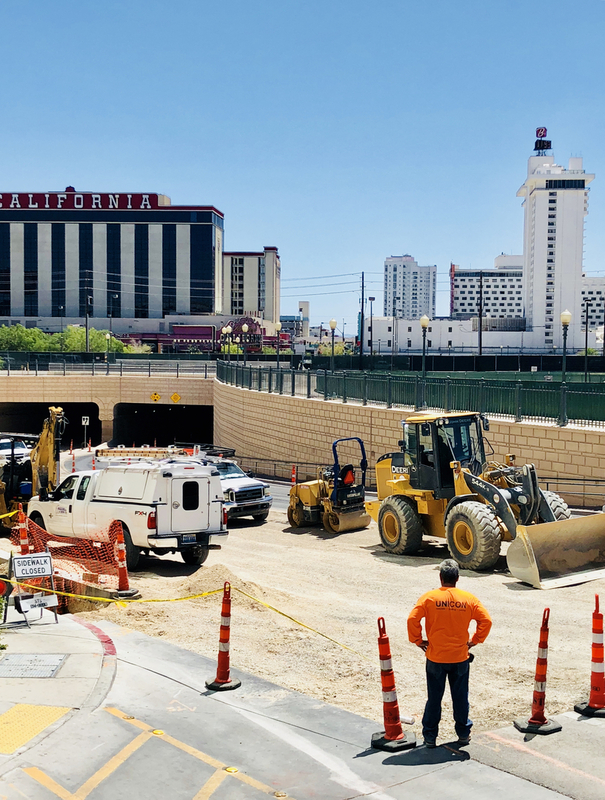 Some of the previous projects that UNICON has had include the $3.8 million contract for the Las Vegas Boulevard Bollard installation by Clark County. You may be wondering what a bollard is and that’s a great question. 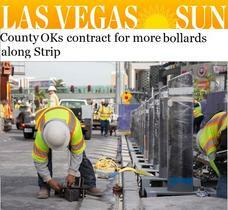 A bollard is the actual cement posts that you will now find all the way down the Las Vegas Strip. They are used to mainly protect the large foot traffic that the Strip entertains on an ongoing basis. UNICON has recently finished up the grading, excavation and paving project for the brand new Blue Diamond Business Center. This center is primarily industrial use and stands on the corner of Blue Diamond and Arville. Next up is LM Construction. Larry Monkarsh (LM) founded the construction company back in 1996 and has done several million square feet of every type of project you can imagine such as community, commercial and industrial space. Larry prides himself and his employers as being one of the premier construction contractors in the Western United States. LM Construction actually holds their general contracting licenses in Nevada, Arizona, Idaho and Utah offering their clients full design and build out services. LM Construction has their entire in house highly trained staff that will provide all the entire projects needs from design to completion. They have worked extremely hard in making professional trade relationships with only the best vendor partners there is to work with in Las Vegas. This is what sets LM apart from the rest. They know their stuff and get the job done on time and on budget. Give the a call at 702-262-6032. And now, the company that everyone around the world is watching. Mortenson/McCarthy Construction. This is the major commercial construction company that is currently building out the $1.3 billion domed Las Vegas Raiders Stadium. McCarthy Building Companies presence in Nevada goes way back to 1973. In their years of commercial contracting, they have come to be known as the premier entertainment and hospitality builders in all of America. The Raider Stadium will be like no other NFL stadium in the country and will seat up to approximately 72,000 screaming Raider fans. It will also have the unbelievable retracting natural turf field andspectacular open window areas that provide staggering views of the Strip. Tons of additional commercial space for food vendors and other businesses will be available as well. It is true that the NFL is ready to come to Las Vegas. With the local population of our valley just shooting over 2 million, there couldn’t be a better time to welcome the Las Vegas Raiders. Now we get to one of the commercial contractors and real estate developers that have been here in Las Vegas since 1951. The Molasky Group of Companies has both designed and constructed projects in all realms of real estate. Everything from large commercial office space, multi family and high rise living communities, retail shopping centers, healthcare facilities, and even law-enforcement and correctional facilities. Just in the past 15 years the company has completed millions of rentable office square feet, over 425,000 square feet of special use space and 850,000 square feet of retail. The Molasky Group has found a special niche in developing projects for public agencies through private-public partnerships. They initially were contracted out by the State of Nevada Department of Corrections to build out the large reentry facility where past inmates can get back into society with assistance from the government. That project alone has led to many additional government contracts of which Molasky Group. They are including the headquarters for the Internal Revenue Service and the southwest facility for the Social Security Administration. They also completed the medium security Clark County Detention Center near Nellis Air Force Base on behalf of the Las Vegas Metropolitan Police Department. 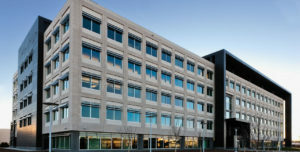 Back in 2007, the Molasky Corporate Center opened its facility as Nevada’s first LEED Gold Certified building. The 17 story tower boasts all the great qualities of being LEED Gold certified. The tenants such as Southern Nevada Water Authority, United States Secret Service and three national law firms appreciate the status of the office environmentally friendly features. The tower is a healthy, highly efficient and cost saving green building and much enjoyed by all. The Molasky Group of Companies has been extremely successful here in Las Vegas for many years and looks forward to continued commercial contracting business as the valley grows.